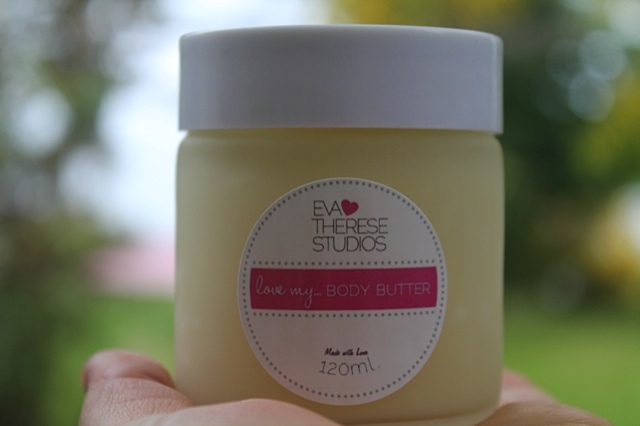 Joy Approved: Love My…Body Butter By Eva Therese Studios! Do you know what I love? People who love what they do. 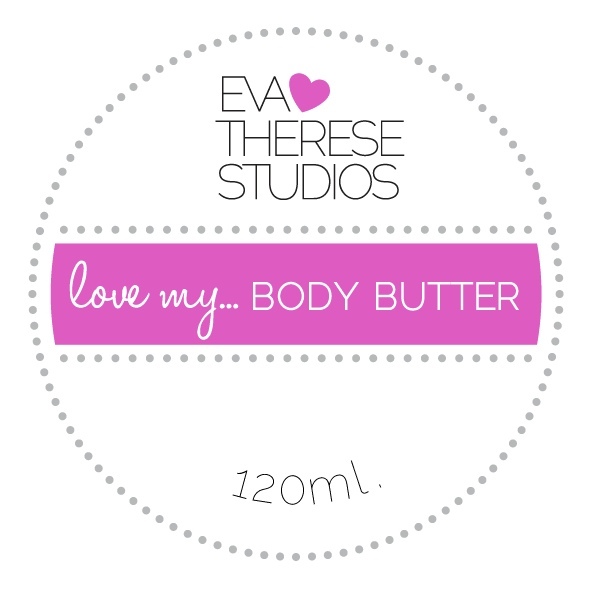 My good friend and uber talented hair stylist, Eva Therese, has created her own line of bath and body products appropriately named, Love My…Body Butter. I absolutely adore this handmade, all-natural body butter made with organic ingredients like shea and coconut oil. The texture feels hard and a little grainy at first touch, but once you melt it between your hands it smooths over the skin like an oil. I also love that it comes in a durable glass jar that can be refilled – organic and earth-friendly! For those of you that love multi-use products like I do, this body butter has many uses. This is my go-to moisturizer after I shower and works amazing to smooth cracked heels and dry cuticles. Pregnant women will love using this on the belly to soothe itching from stretching. If you have a dry scalp, you can also use this as a scalp treatment. Eva is such a warm, friendly person. You can tell right away that she loves what she does whether it is transforming her client’s hair or hand-making her body butters. I was so impressed by her body butter that I had to do a little Q & A with her! Joy: Tell me about Love My… and why you decided to start a bath & body line? Eva: Love My…body butter started after I had my son almost 4 years ago and I started making my own products to use on him. I wanted to create something all natural, organic, moisturizing, and safe for my son with no additives. All the ingredients I tried to make as dual purpose for pregnancy & then for babies. My friends, family and clients started using it with great results, and started telling me all the other great things they had been using it for. Working in the beauty industry for so many years, I work everyday with women and it gives me a deep understanding of the pressure women feel to fit into a unrealistic & distorted idea of what is beautiful. I wanted to name my products Love My so everyone using the products would think of love for themselves & others, and to me that makes someone truly beautiful. Joy: Love My…Body Butter has so many uses. What’s your favourite way to use it? Joy: Where can people purchase your products? Eva: Now available in 60ml & 120ml. By contacting me at evatheresestudios@hotmail.com or by phone (Eva) 416-894-6549.